The carbon tax proposal that the Climate Leadership Council unveiled last month upends orthodoxies on both sides of the political divide. It is revenue-neutral, which goes against the desires of many on the Left to invest carbon tax revenues in a “just transition” to clean energy. It distributes those revenues as “dividends” to U.S. families, an income-progressive outcome that frustrates those on the Right who might accept a carbon tax as a way to pay for reducing the corporate income tax, at least in theory. 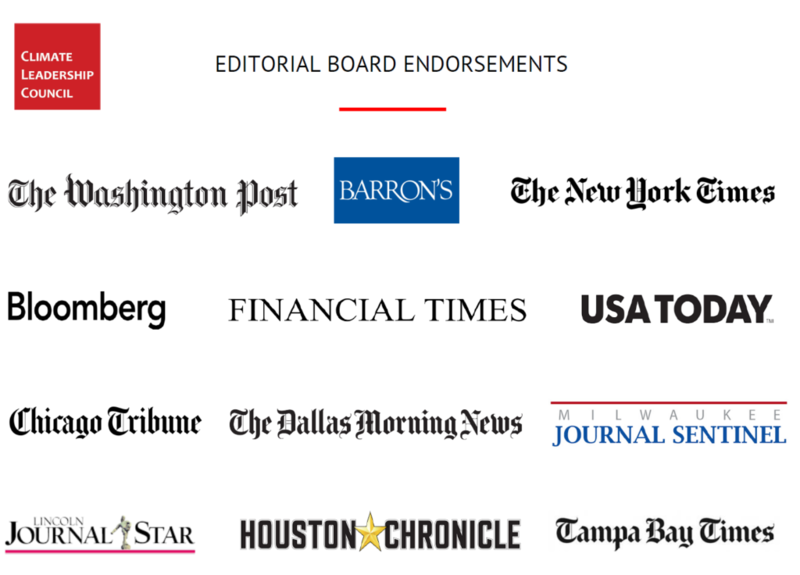 Editorial endorsements for the Shultz-Baker carbon tax proposal, as of March 1. We at CTC heartily endorsed the council’s proposal in a blog post hours after its release. So did a dozen leading newspapers, including the Dallas Morning News, the Houston Chronicle, the Financial Times and Barron’s, some of which were likely impressed that the CLC rollout was led by GOP icons James Baker and George Shultz, both of whom held multiple cabinet posts in earlier Republican administrations. But that wasn’t good enough for the Wall Street Journal, whose editorial page sometimes reads as if written by the Koch Brothers-financed, climate change-denying Americans for Prosperity. Its Feb. 25 editorial attacking the CLC proposal, The Carbon Tax Chimera, didn’t so much rebut the proposal as excoriate it. Messrs. Shultz and Baker responded in a letter in the Journal last Friday, We Thought We Would Hit Your Sweet Spot. Their letter isn’t aimed at the Journal’s editors, who are tethered to hard-right climate denialism, but to the paper’s remaining readers who recognize that catastrophic climate change poses risks to their bottom line (and themselves) and are looking for a policy response they can support. In the same spirit, we present this point-by-point rejoinder to the Journal’s editorial by Dr. Peter Joseph, group leader of the Marin County, CA chapter of Citizens’ Climate Lobby. Dr. Joseph is an outspoken advocate for the fee-and-dividend approach to carbon taxing which forms the heart of the CLC proposal. 1. WSJ: The climate may change but one thing that never does is the use of climate change as a political wedge against Republicans. Dr. Joseph: Following Sen. John McCain’s 2008 campaign acknowledgment of climate change, it was Republicans who turned climate change into a wedge issue by conflating scientific uncertainty — a necessary and ever-present part of scientific inquiry — with the well-established scientific consensus about global warming. 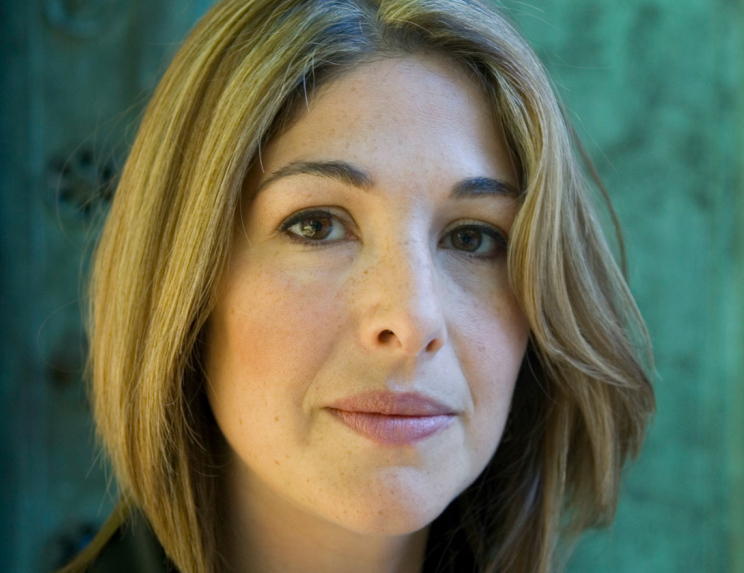 The Journal seems not to appreciate that the Shultz-Baker plan, tailored to appeal to fiscal conservatives, can serve as Republicans’ escape ladder from this untenable position once they let go of the “I am not a scientist” trope and decide to join every other major political party – including conservative — in the Western democracies and get serious about this threat. 2. Also never changing is the call from some Republicans to neutralize the issue by handing more economic power to the federal government through a tax on carbon. Revenue neutrality with 100 percent of the revenues returned to U.S. families as carbon dividends actually deprives the federal government of more economic power by channeling all the money back to citizens and reserving decision-making power to households, companies and markets. 3. The risk is that Donald Trump takes up the idea, which would hurt the economy with little benefit to the environment. A fully refunded carbon tax will cut emissions with greater efficiency and less economic drag than regulations. It also produces greater environmental benefits and promotes business stability. 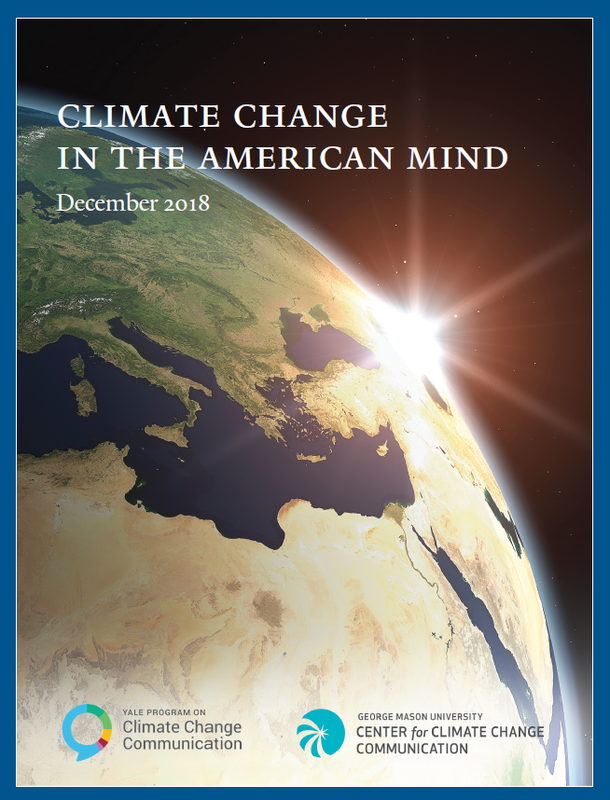 The Climate Leadership Council estimates that by 2025 its plan will reduce CO2 emissions reductions by 28% below the 2005 baseline, meeting America’s Paris commitment. The Carbon Tax Center, modeling a more robust rise in the tax level after the initial $40/ton, estimates that the council’s plan would, by 2030, reduce our annual CO2 emissions from 2005 levels by 40 percent. 4. Such a tax might be worth considering if traded for radically lower taxes on capital or income, or is [sic] narrowly targeted like a gasoline tax. Some economists recommend tax swaps, with Republican-leaning economists preferring cuts to the corporate income tax and Democratic-leaning ones favoring cutting the payroll tax. But politics point strongly to the dividend approach. The tax code is so complex, and Treasury Department bookkeeping so labyrinthine, that it’s extremely difficult to pull off a tax swap that’s immune to suspicions that the government is “stealing” the money. Accountability is crucial. Plus, the carbon tax has to rise each year, since it can’t start at the high levels that are required without seeming punitive. This requires the public to trust that the tax revenues will actually come back to them. A dividend like the council’s can win their trust, since the dividend checks rise in concert with the tax level. 5. But in the real world the Shultz-Baker tax is likely to be one more levy on the private economy. Reinjecting billions directly back into the Main Street economy will act as a stimulant, not a drag. When families, particularly at the lower end, receive money regularly, they spend it. Sectors other than the hydrocarbon industry will benefit, and the predictable glide path toward the low-carbon economy will allow industry to adapt. 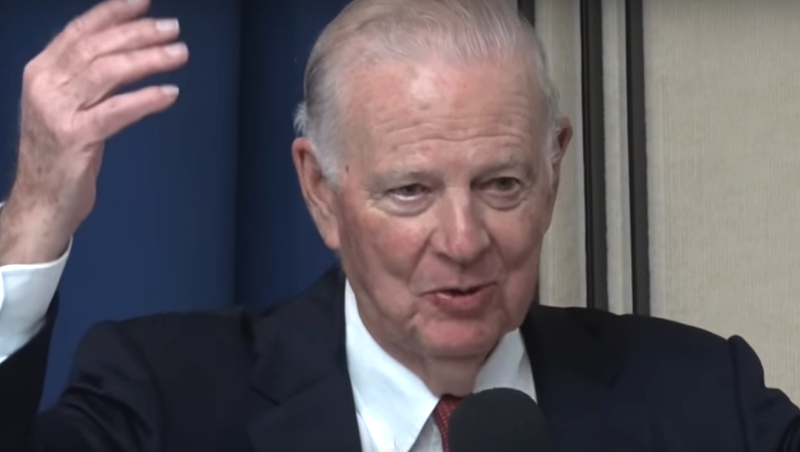 Former Secretary of State & Treasury James Baker, at the Climate Leadership Conference’s Feb. 8 rollout of its carbon tax proposal at National Press Club. 6. Even if a grand tax swap were politically possible, a future Congress might jack up rates or find ways to reinstate regulations. The carbon tax signal should escalate predictably, and as long as the public receives the funds they won’t be inclined to revolt, since a clear majority will be made better off. As for wealthier households, many will hardly notice that their dividend checks don’t cover their carbon tax bite. Provided the tax levels are robust rather than token, Congress will have no incentive to “jack up rates” later on. Remember, Washington keeps none of the money. 7. Another problem is the “dividend.” A carbon tax would be regressive, as the poor spend more of their income on gasoline and household energy. Full dividend return converts a regressive policy into a progressive one. The key is the dividend: since wealthier people have larger-than-average carbon footprints (they buy more stuff, live in bigger houses, fly more, etc. ), they’ll pay in, while most middle-income and virtually all low-income families will take out. Models show that close to two-thirds of the population comes out ahead with full revenue return via dividends rebate. Citizens will retain the freedom to lower their consumption and use the spread between their carbon dividend check and carbon footprint costs as an incentive to reduce personal emissions and make some money, if they choose, without being required to do so by the government. 8. The plan purports to solve this in part by promising to return the tax to the American public. But the purpose of taxes is to fund government services, not shuffle money from one payer to another. No doubt politicians would take a cut to funnel into renewable energy or some other vote-buying program. Taxes fund programs, agencies and services that make America great. But a fully refunded “tax” such as the council’s isn’t really a tax if the government doesn’t keep the money. It’s a fee, not intended to generate operating revenue but to correct a market failure. True, politicians might find it difficult to let huge sums slip through their fingers. As then-ExxonMobil CEO Rex Tillerson quipped in a 2009 speech advocating a revenue-neutral carbon tax, “I know that’s hard for a politician to say.” He suggested the tax be called “a refundable greenhouse gas emissions fee.” The U.S. government will return the funds unmolested as required by law. 9. The rebates would also become a new de facto entitlement with an uncertain funding future. The dividends will rise initially, then level off and eventually — and predictably — decline as the rising fee does its job of lowering carbon intensity. (That decline is another argument against using the carbon revenue for tax swaps or government programs, as the eventual budget shortfalls would require a future Congress to raise taxes.) At the same time, energy from wind and sunlight, whose fuel is free, combined with efficiencies and innovative processes and products, will stabilize or decrease the costs of goods and services. What matters to citizens is their overall household budgets. There will also be savings in healthcare costs as the air gets cleaner, and presumably military expenditures as we wean off unstable sources of foreign oil. 10. Meanwhile, the energy import fee looks like an appeal to Mr. Trump’s protectionist impulses…The idea is an attempt to export U.S. climate and tax policy with the threat of tariffs, which other countries may resent. The Journal would do well to look more broadly at the council’s border carbon tariff. It’s an incentive to other countries, a tool to ensure a level playing field for U.S. manufacturers, and an act of leadership by the world’s most vibrant economy. A sustainable climate and a habitable earth require controlling global emissions. Without a global carbon price, too many nations will be unable to fulfill the reduction targets they promised in Paris, which are all voluntary. The global economy is the only enforcement mechanism there is. From a practical political standpoint, without a border carbon tariff no carbon charge will ever get through Congress if it disadvantages U.S. exporters. 11. The tax rate would also be influenced by international climate models that have overestimated the increase in global temperature for nearly two decades. Must the WSJ editorial page continue to cling to this wearisome canard, in the face of year after year of record-setting temperatures? As for alleged IPCC “overestimates,” presumably referring to the alleged “pause” in surface temperature increases, that spurious claim has been thoroughly debunked. The excess retained heat energy has been going into the oceans, where it’s accelerating the disintegration of the polar ice shelves — dams restraining the great land ice sheets —threatening much higher sea level rise than previously predicted and threatening to inundate vast stretches of our nation’s and the world’s coastal areas. 12. 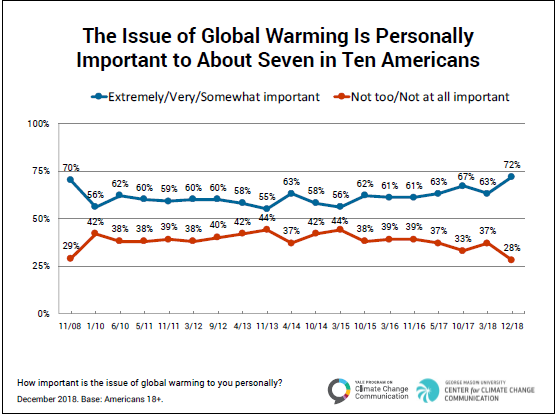 A carbon tax is always pitched as “insurance” against climate change, but no one thinks it will change the trajectory of temperatures. That might apply to an anemic price signal. It hardly applies to a carbon tax that starts at $40 per ton of CO2 and rises from there. The data indicate that most known fossil fuel reserves must remain in the ground to prevent catastrophic warming. Only a robust price signal can enable markets to resist the disastrous allure of trillions of dollars worth of carbon products. A rising fee on carbon emissions is the most powerful lever we have to phase out fossil fuels as fast as practicable. 13. A 2016 paper from the Cato Institute makes the point that insurance policies hedge risks that are well-known, unlike climate change, whose risks are highly uncertain. The Cato Institute, known for its climate denial, is hardly a source of sound advice. The scientific consensus tells us that the chances that climate change will wreak catastrophic damage on property, let alone ecosystems and civil society, are far greater than the probability that, say, one’s home will be destroyed by fire. Yet every homeowner has fire insurance. 14. Fossil fuels make up about 80% of U.S. energy; solar, wind and hydropower are more expensive and lack the scale to be a viable substitute. Fossil fuels rose to dominance through political arrangements that externalized the true costs of dumping their combustion products into the atmosphere and oceans. One can argue that these costs were unknown until now. Today to not know is to deny reality. The carbon tax internalizes those costs, rectifying a massive market failure. Yet even without that tax, solar and wind are rapidly gaining market share and grid parity, and there are no limits to the eventual scope of their deployment. A carbon tax will accelerate this transition. Harvard economics professor Greg Mankiw at the Feb. 8 CLC press conference. 15. Congress has never shown the self-restraint to collect an estimated $1 trillion in taxes and return it to the public. Any Republican who supported a carbon tax can expect no help from Democrats, who won’t restrain the Environmental Protection Agency. As Secretary Tillerson observed, it is tough for a politician to utter the words “revenue neutral.” The public will have to demand it, and the business community, understanding that climate disasters are terrible for business, must lobby for it. Elected officials will then follow. The Shultz-Baker plan calls for suspending most EPA authority over CO2, an olive branch to anti-regulation interests. Evidence that Democrats and their environmental allies might be willing to relinquish control over the carbon tax revenue stream can be found in the resolution that California’s Democratic-controlled legislature passed last August calling on Congress to enact a revenue-neutral carbon fee and dividend proposal similar to the Shultz-Baker plan. 16. You won’t read this elsewhere, but what’s driven the recent reduction in U.S. carbon emissions is fracking for natural gas, which might never have happened had a carbon tax been in place. While it’s undeniable that fracked gas contributed to overall reductions bydisplacing dirtier coal, a recent report by the Carbon Tax Center established that since 2005 the combination of electricity savings from efficiencies and increased wind and solar have played a greater part in reducing carbon emissions tha the replacement of coal by gas. Moreover, efficiency, wind and sunlight — unlike fracking — generate zero emissions of methane, which is also a potent greenhouse gas. 17. Human ingenuity and prosperity are the best insurance against climate change. Perhaps. But even human ingenuity is hard pressed to overcome broken markets that fail to price carbon emissions’ damages. 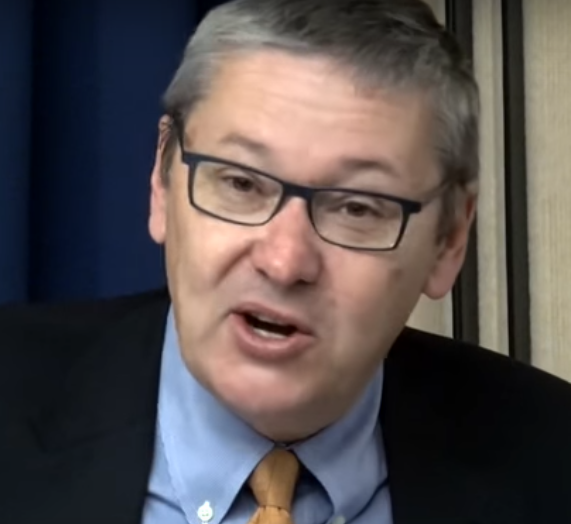 As Harvard economics professor Gregory Mankiw pointed out in the CLC press conference rolling out the carbon dividend plan (@32 min), a carbon tax is as close to a silver bullet as there is, precisely because it engages the enormous power of money and markets, with minimal risk, in a nonpartisan way. The WSJ should support it. Dr. Joseph may be reached at pjmd1@me.com. He asked us to note that the views expressed here are Dr. Joseph’s and not necessarily those of Citizens’ Climate Lobby or Citizens’ Climate Education. — editor. Was it really just a month ago that the “Access Hollywood” tape was sending the Trump candidacy into its death throes, the Republican Party was melting down, and the first-ever Congressional debate over carbon taxing seemed in store for 2017? Democratic control of both the White House and Congress clears a path for a federal carbon tax without having to somehow vault over GOP denialists. Which could make next month’s ballot referendum in Washington state, Initiative 732, even more momentous. Enacting the country’s first carbon tax wouldn’t just produce a template for other states; it could spark national legislation establishing a U.S. tax on carbon emissions, perhaps as early as 2017. Sad to say, I-732 went down to defeat Tuesday, resoundingly, 59% to 41% (those figures, updated Nov 11, supersede the 58-42 Election Night result). But that loss is but a charred matchstick in the burnt landscape we awoke to Wednesday morning: a Trump presidency, a continued GOP lock on Congress, and a hard-right Supreme Court. 1. Solar, efficiency and wind will keep advancing — Yes, R&D will be cut, maybe also tax credits for wind turbines and solar PV. And some states’ rules and regulations affecting siting and financial treatment for renewables and efficiency could turn for the worse. But clean energy’s rapid growth isn’t going to stop. Tech progress, plummeting costs, and the advent of business models to handle logistics and financing remain powerful forces. As clean energy spreads, so will the constituency for aggressive climate policy — perhaps even carbon taxes, a possible scenario laid out last year by David Roberts of Vox (he called it “strategic sequencing of climate policies”) that is especially pertinent today. Polling stumbled this week, but these results are still striking. 2. Americans may be less averse to carbon taxes than you think — It’s a shame I-732 didn’t win, not least because the heroic activists at Carbon Washington worked their butts off for it. But let’s not write off carbon taxing. The defeat of the Washington referendum owes a lot to the unfortunate split within the green movement. 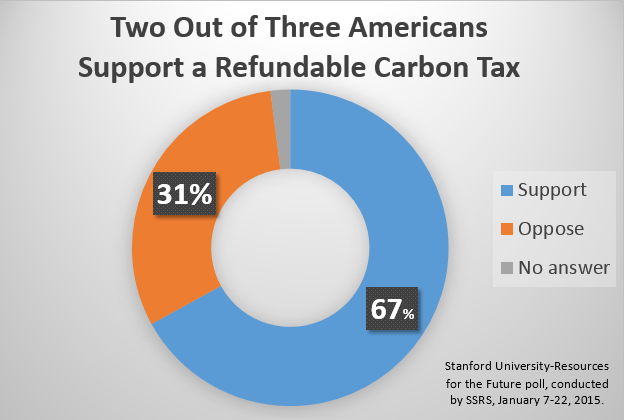 Carbon taxes that prioritize equity and protect low and moderate-income families can be politically popular, as suggested by a 2015 poll by Stanford and Resources for the Future — the only national polling to date of explicitly revenue-neutral carbon taxing. 3. The Clean Power Plan is in the rear-view mirror — Don’t fret too long over the likely dismantling of the Obama administration’s Clean Power Plan. Events have largely overtaken it, with U.S. coal-fired power generation cut in half in just a decade. Calculations we’re finalizing at the Carbon Tax Center will show that by year’s end the U.S. electricity sector will have already made nearly all of the carbon reductions the CPP demanded for it by 2030. And while much of that progress was sparked by EPA’s Mercury and Air Toxics rule that helped precipitate coal plant shutdowns, Americans’ long-standing support for clean air will make it hard for even a President Trump to dial back those standards. 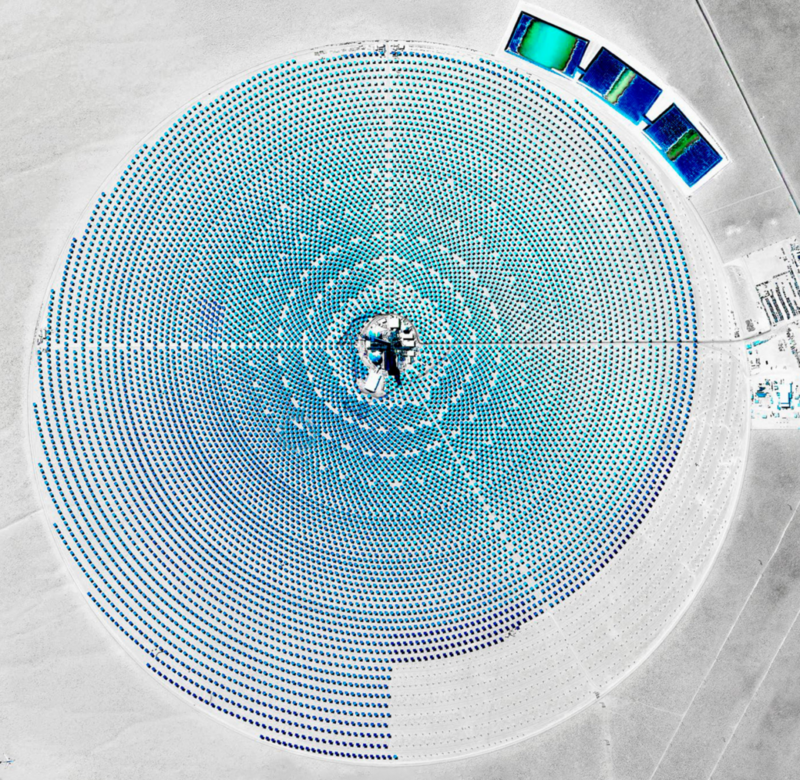 Crescent Dunes Solar Energy Project, Nevada, aerial photo by Benjamin Grant, courtesy NY Times. Solar farms and rooftops will keep sprouting despite Trump. 4. The Law of Reaction (“Pride Goeth Before a Fall”) — We’ve seen it time and again: over-reaching that precedes a disastrous stumble: A nuclear industry spokesman publicly inviting a prominent TV news anchor to “come see the safety features at our new flagship reactor at Three Mile Island,” just before the infamous meltdown in 1979. The bombshell that seismic attenuators were installed backwards at one of the Diablo Canyon reactors just as the new Reagan administration was rushing to water down atomic safety regs in 1981. This syndrome isn’t mere coincidence; the media crave counter-narratives. With the Republican Party now “owning” climate change, extreme weather will give us many opportunities to put them on the defensive. 5. Uniting Our Movement — The split in the green movement over I-732 laid bare genuine divisions among climate activists, over leadership and inclusion as well as policy. We can use the new enforced policy hiatus to get better at listening to each other. Carbon tax advocates, myself included, need to commit to sharing and even ceding leadership to more diverse voices. We can also do better at conveying why we place carbon taxes at the center of climate policy, and why we believe they are the best policy complement to divestment and keep-it-in-the-ground campaigns. Am I “whistling past the graveyard” here? I don’t know, frankly. Trump’s victory is traumatic, and it’s really hard to face the future. But face it we must and will. There’s too much at stake. Fighting for a livable planet and a humane society is what I’ve done my whole life. I’m not stopping now, and I know neither are you. Paul Goodman, a mid-century American apostle of transformational change, entitled a collection of his letters, “The society I live in is mine.” With apologies to Paul, whose unsparing but inspiring critiques of U.S. corporate government helped shape my generation of radical activists, I’m here to say that the Washington state carbon tax initiative, I-732, is the perfect climate measure for the society we have. Calling out the old guard’s “deafening silence” (or worse) on the Washington state carbon tax. 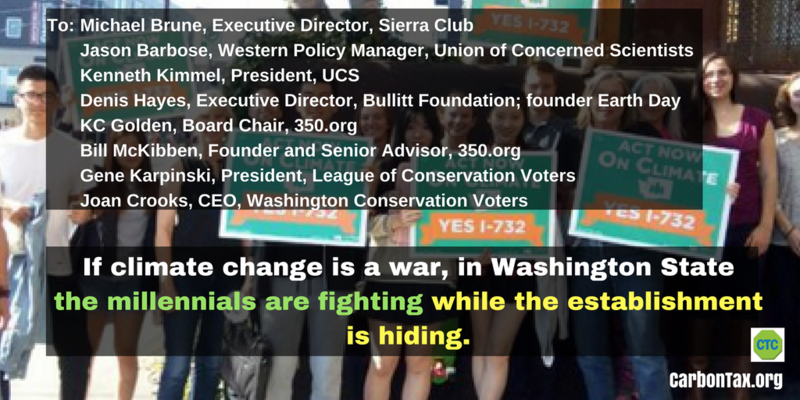 I thought of Goodman today as I read the remarkable “Open Letter from the Millennial Leaders of Carbon Washington and the Yes-on-732 Campaign” to the green establishment leaders who are silent or oppositional on the initiative. Paul was an unabashed champion of youth and an instinctive foe of the old guard, most notably in his best-known book, Growing Up Absurd. I also think that Goodman, a champion of rigor, would have pounced on the insubstantial arguments made by I-732’s “green” opponents, corrected their errors, and alerted them to the absurdity of climate advocates opposing a carbon tax that has advanced to an actual ballot proposition. [I-732] relies solely on economic signals to drive down emissions, which allows all polluters to pay to continue to pollute instead of reducing emissions. Without a carbon cap, we can’t ensure that we will achieve the pollution reductions that are required in state law, but are currently unenforced. Everything in that paragraph is correct. And all of it is utterly beside the point. Yes, Initiative 732 relies solely on economic signals to drive down emissions of carbon dioxide. That’s by design. Those signals — higher market prices of fossil fuels — are essential to solve or at least massively shrink the climate crisis. Without them, any climate policy, including the “investment” approach favored by WCV and other green groups opposing or abstaining on I-732, will fall woefully short. Make no mistake, Carbon Washington, the upstart group that drafted Initiative 732 last year and obtained hundreds of thousands of qualifying signatures to put it on the Nov. 8 ballot, dearly wants society to invest in massive weatherization and solarization of buildings, remediation of polluted communities, better urban and suburban transit, and the like. So do I. In fact, my other “day job,” aside from running the Carbon Tax Center, is mostly fighting for those very investments and policies in New York City, where I live and work. To reduce carbon emissions quickly, we must not only decrease our use of fossil fuels, we must also rapidly increase our use of clean energy, including solar and wind power and the electrification of transportation. This is the only way for us to transition to a low-carbon economy and significantly decrease our use of fossil fuels. Well, that transition is precisely what carbon taxes can spark. Raising the prices that businesses and households alike face for coal, oil and gas and for the goods and services manufactured from them will accelerate the society-wide switch to clean energy. Conversely, without those higher fossil fuel prices, solar and wind and electric vehicles and transit will forever be competing with one hand tied behind their backs. Sure, they’ll advance, but not nearly fast and widely enough to push out fossil fuels on the scale our climate requires. I readily admit — and I’ll wager that Carbon WA will admit as well — that by itself the I-732 carbon tax won’t effectuate that transition either. The tax level specified in the initiative, essentially $25/ton of CO2 after two years, then rising 3.5% a year above general inflation, is too low for that. But that too is by design: the USA’s first statewide carbon tax can’t be super-steep, else industry and agriculture could be hampered vis-à-vis neighboring states, a prospect that would forestall approval by either voters or the legislature. Rather, the Washington carbon tax is intended as proof of concept. Once a carbon tax has been established in one state, it can be adopted by others, creating a critical mass of political acceptance, demonstrating success in driving down emissions, and disarming the negative arguments on effectiveness, equity and overall feasibility that have stood in the way of a national tax on carbon emissions. Moreover, as I argued recently, the emerging possibility of a “wave” election transforming the power dynamics in Congress creates a surprise bonus opportunity, in which winning a carbon tax next month in just one state could give tremendous momentum to carbon tax proposals at the federal level. Even without a Democratic takeover of one or both houses of Congress, the national and global perspective completely moots the insular one inherent in WCV’s complaint that I-732 “can’t ensure that we will achieve the pollution reductions that are required in state law.” Whether or not the particular carbon tax on the Nov. 8 state ballot lets Washington meet those targets is dwarfed by the potential of the carbon tax template to go viral nationally and internationally. But perhaps the most telltale confusion in that first WCV bullet point is the charge that I-732 “allows all polluters to pay to continue to pollute instead of reducing emissions.” As the saying goes, that’s a feature of carbon-taxing, or indeed any carbon pricing system, not a bug. Here’s the thing, or two things: first, in our society, polluters get to choose to pollute; what I-732 does is to finally make polluters pay to do so; second, polluters’ choices — and whether we like it or not, “polluters” means all of us who press a gas pedal or turn on a switch as well as the corporate bosses atop the system that limits our agency to choose — are affected by prices. Every day, in Washington state alone, millions of decisions are made, some almost microscopic (how fast to accelerate up that hill; whether to drive to the nearby mall or the distant one) and some momentous (Boeing’s design and material selections for future aircraft; how it powers its factories) that together determine energy demand and fuel choice and, thus, carbon emissions. We could conjure Adam Smith’s “invisible hand” if the right wing hadn’t co-opted it to prop up its laissez-faire ideology. Let’s say instead that the tax on carbon pollution embodied by I-732 is neither an upending of our market system nor the “clever tinkering with market forces” alleged by an environmental-justice opponent, but an overdue and essential correction — a way to enable markets to finally tell the truth about what fossil-fuel burning is doing to our climate. Unfortunately, [I-]732 devotes the revenue created by the initiative on tax cuts, instead of strategically reinvesting in clean energy to accelerate our transition away from fossil fuels and fund an equitable transition for workers and disadvantaged communities. True again, but just a sliver of the whole truth. “Tax cuts” conjures giveaways to the wealthy, but I-732 is the opposite. It applies most of the carbon tax revenues to cutting the state sales tax, a regressive tax like no other that for decades has slammed Washington’s poorest households and communities. The percentage point cut in that tax, to 5.5% from the current 6.5%, allows the carbon tax to yield a net financial gain for most families in the bottom half. Do the trustees of Washington Conservation Voters fully grasp the game-changing potential of I-732? Imagine if WCV had written the revenue-treatment provisions of I-732 to “reinvest [the carbon tax dollars] in clean energy” and “fund an equitable transition for workers and disadvantaged communities.” Without a doubt, the fossil fuel interests would have blasted the initiative for compounding the financial strains already faced by Washington low- and middle-income families . . . and they would have been right. Branded, correctly, as income-regressive, the carbon tax would have been consigned to a resounding defeat. Making the carbon tax income-progressive, and not the shibboleth of “appealing to Republicans,” is the main reason Carbon Washington designed Initiative 732 to be revenue-neutral. But that decision has laid bare real fault lines in the environmental community, particularly on energy prices. 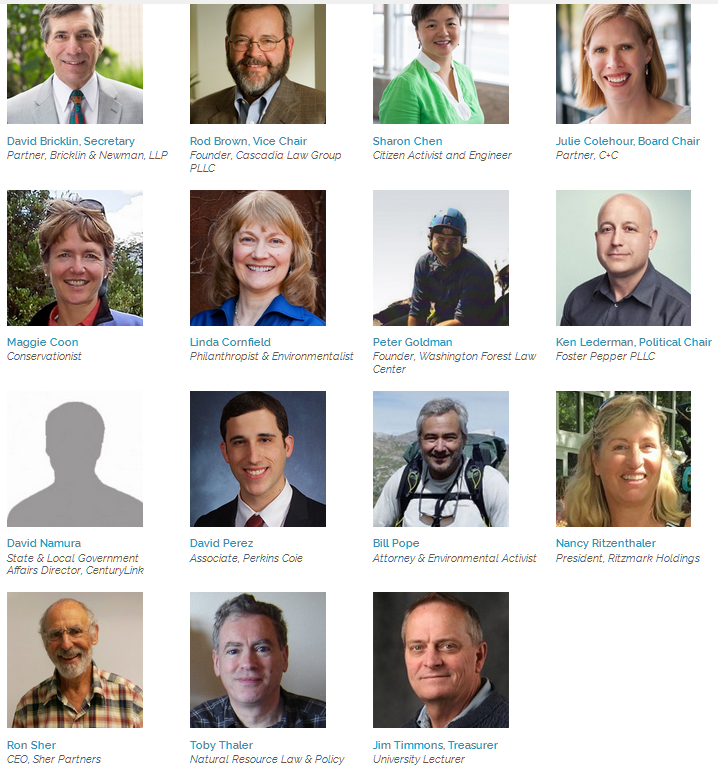 Green opponents of I-732 appear to believe that we — Washington, the United States, the world — can craft policies to quickly abandon carbon fuels without rapidly raising their market prices; or that the right energy-investment programs will offset the impacts of those price rises on vulnerable households and communities (a category that since the onset of the financial crisis has grown to encompass perhaps two-thirds of U.S. families). Proponents believe, as I do, that rapidly raising the market prices of fossil fuels is essential, and that the only sure way to protect households and communities financially is to return the revenues in some progressive fashion. Nationally, that could be via the “dividend” approach propounded by Citizens Climate Lobby. That is probably not practicable for individual state carbon taxes, however, and I believe Carbon WA made the right call to swap out the revenue by cutting the sales tax. In either case, the carbon reductions sacrificed by returning instead of investing revenue can be recouped by raising the carbon tax rate briskly year after year — a policy that can be enacted if and only if a clear majority of households are made better off or at least kept whole through revenue return. In closing, let me affirm that I’m a man of the Left. Like Paul Goodman, whom I cited at the top, I’m suspicious of all powerful organizations, private or public. Nevertheless I firmly believe in the capacity of government to do good. If enough other citizens felt the same way, I might well be calling for the investment program that LCV says it wants. Heck, if a majority believed as I do, our country wouldn’t have one of the industrialized world’s most unequal distributions of income and wealth. Instead we would have a social system to support families that stood to lose more from rising fuel prices than they would gain from energy savings. But we don’t live in that kind of society. We can fight for it, as I and many others in the climate movement do. But we can’t design climate policy for a society we don’t yet have. To turn away from the most potent climate policy instrument we have — one that is now, almost miraculously, being put before the voters of an entire state — would be sheer folly. Click here for more on I-732, including links to the best and most recent press coverage. There’s been some progress since then. Breathing New York’s air, once equated to smoking two packs of cigarettes a day, is many times safer. Wind turbines now provide five percent of the nation’s power, and electricity produced with solar cells rose ten-fold in the past three years. Driving has flatlined nationwide over the past decade, partly because Americans are strapped but also because the intoxication with cars is wearing off. That’s great news for the environment, but it’s not nearly enough for climate. CO2 levels are still rising inexorably. Ditto global temperatures, polar ice melting and extreme weather. Emissions need to be cut radically even as seven-and-a-half billion people strive for prosperity. To demystify carbon taxes and showcase their appeal, we’re rolling out the Carbon Tax Center’s first video. It explains how a carbon tax will transform investment, re-shape consumption and sharply reduce carbon emissions. As the video shows, no other policy can match its reach or simplicity. No other policy can be replicated globally, from China to Chile to Chad. A carbon tax is no mere “technical fix.” It’s both a symbol and a means for us to respect nature and each other. The central messages on Earth Day 1970 were to abide by nature’s limits and make polluters pay. On this Earth Day, let’s spread the word about a carbon tax. Let’s educate and organize so that the U.S. and other nations make taxing carbon the central policy to combat catastrophic climate change and sustain the Earth we love. Whatever Happened to "Green Jobs"?